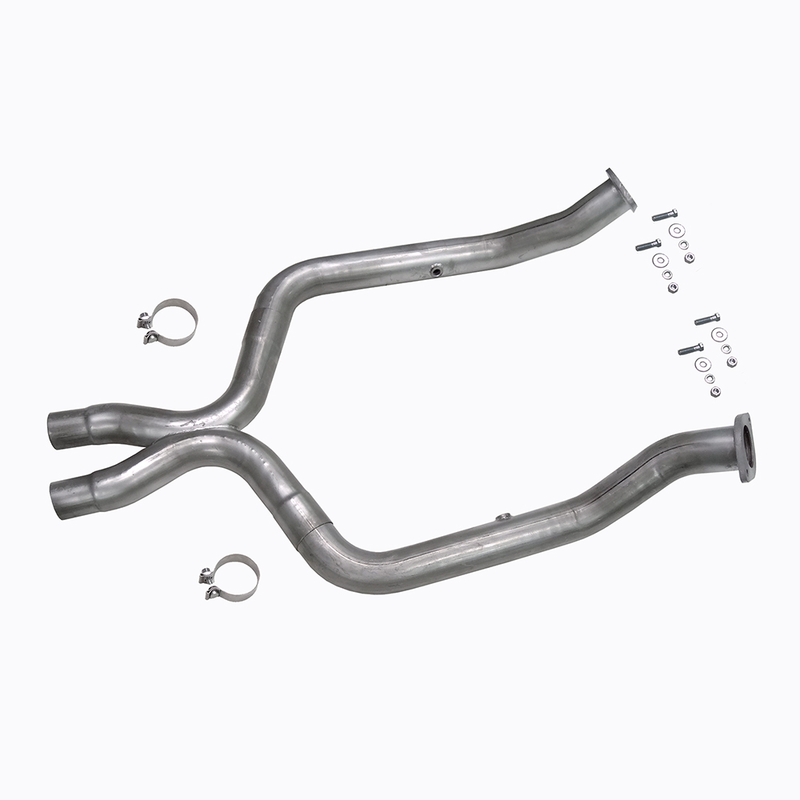 UPR's 11-14 Aluminized Steel Off-Road X-Pipe will add as much as 15RWHP. Our X-Pipes are manufactured in house for quality and consistency that you can trust. UPR is one of the pioneers of the X-Pipe, race and street car owners have trusted our custom design since late 1995. UPR highly recommends a tune when using this as it eliminates the cats from the exhaust, which can throw check engine lines as well as a rich condition. Mandrel bent 3" aluminized steel tubing for maximum airflow throughout the entire pipe. Installs in 60 minutes or less. 2011 2012 2013 2014 5.0L 4V V8 GT Boss* 302 Mustang Steeda Roush & Saleen Vehicles. *This X-pipe does not support the side exit exhaust for the Boss. No one else can stack up to the bold clean styling of our aftermarket Billet dress ups, Street Strip & Racing Suspension & Performance Parts for your late model American Muscle Car!